Only by looking back at our past can we chart our future. And for that, Nepal may have to finally sort out its present. 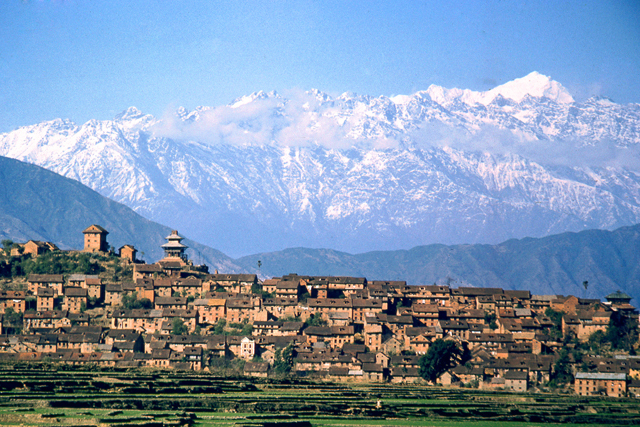 KIRTIPUR WITH A BACKDROP OF LANGTANG AND BHAKTAPUR SURROUNDED BY RICE FIELDS IN THE 1950S. 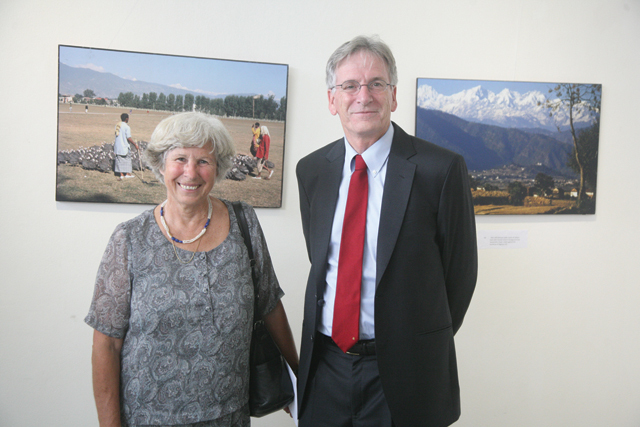 On the 100th birth anniversary of the Swiss geologist and development activist Toni Hagen, his daughter Katryn together with the Nepal Heritage Society, has put up a retrospective of photographs of Nepal from the 1950s at the Nepal Art Council. 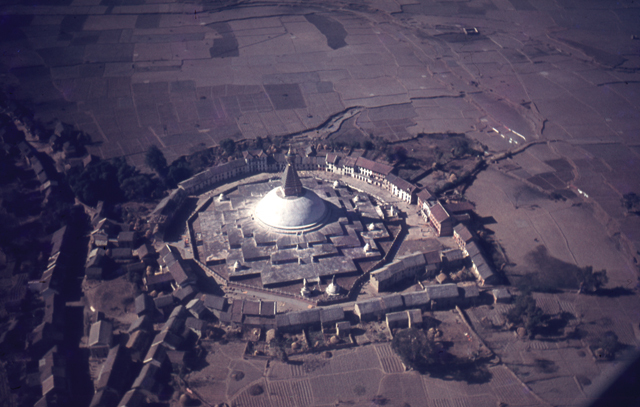 See for yourself how much Nepal has changed in the last six decades. 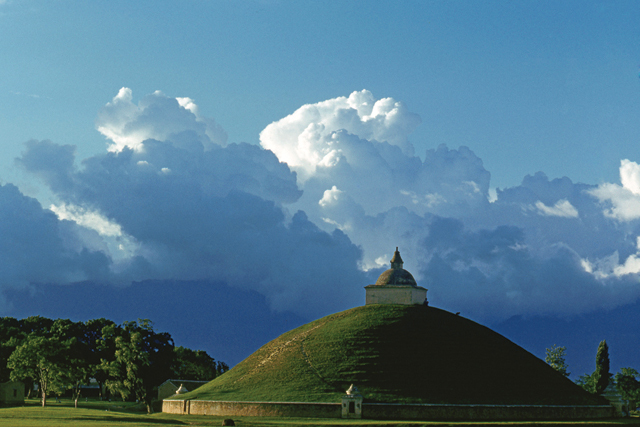 Many of the changes are for the better, but there is also a sense of loss of Nepal’s precious natural and cultural heritage. Toni Hagen was keenly aware of how ‘development’ can change society, and tried to warn Nepal's rulers and donors about minimising the environmental and societal impact of modernisation. He envisaged an electric train artery running east-west along the plains, and north-south feeder roads that followed the main rivers to the mid-hills and mountains. For remote areas, he recommended a network of cargo and passenger cable cars. All this would be powered by electricity, to be generated from the many sites he mapped out in great detail. 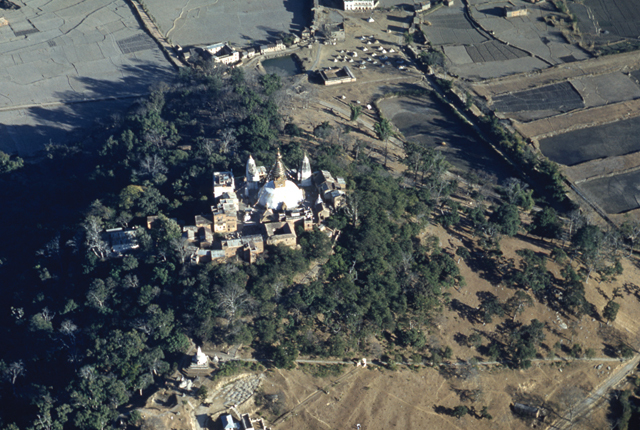 The shrines of Baudha and Swayambhu (below) are surrounded by paddy fields. 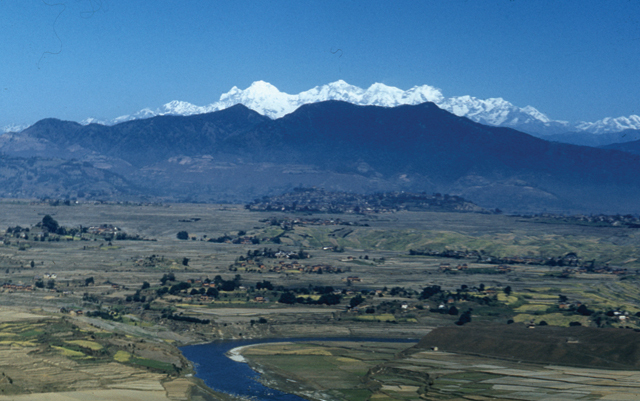 He identified Kulekhani as a feasible site for a hydropower dam, and even started a road to the site from Kathmandu, but this was abandoned because the Tribhuvan Highway took precedence. Kulekhani was finally built in the 1980s, and his plans for a cascade of high-pressure plants on the Karnali bends has still not been realised 60 years later. 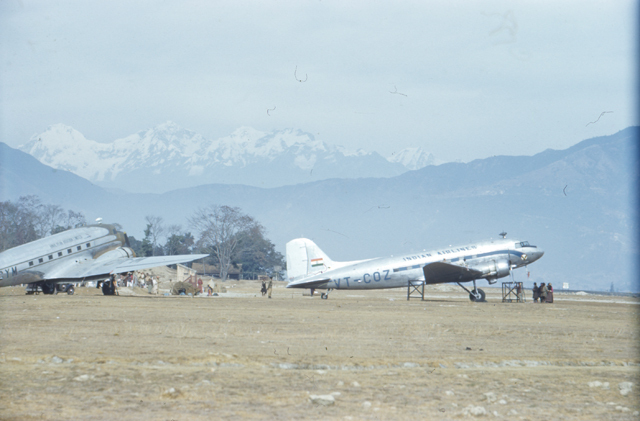 Hagen came to Nepal as one of the first technical experts sent by the just-established United Nations in 1951. The Ranas were still in power, and Hagen saw many regime changes in the lifetime he consecrated to Nepal. As a geologist, he was first interested in the orogenesis of the Himalaya and to find minerals that could propel Nepal’s economic growth. But it was evident to Hagen after he traversed 14,000km of Nepal on foot over 12 years that it wasn’t gold and oil that would lift Nepal up, but water. “My father worked very hard, after a day of finding rocks and fossils, he would be up till late at night in his tent documenting and drawing them,” remembers Katryn. His detailed geological map of Nepal is today on the wall of the Department of Mines. Says Katryn: “My father became less and less interested in rocks and more and more in people.” That is evident in the final report he prepared for Nepal’s development in 1962, in which he identified that the most pressing need of Nepalis was connectivity: bridges and trails. Electricity and roads could come later. It is clear from the exhibition that everything has changed in the last 60 years except the shape of the mountains. But even here, we can see that Machapuchre and other peaks had a lot more snow on them then. Today, the snowline has risen, the glaciers have receded and shrunk dramatically. 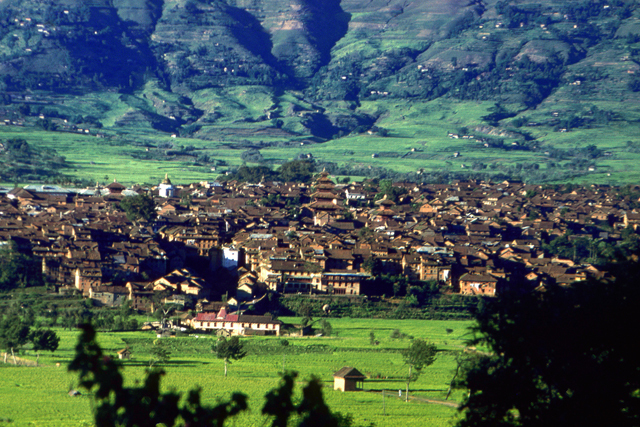 Toni Hagen introduced Nepal to the world with his picture book, Nepal: A Kingdom in the Himalayas in 1962. It has gone into several reprints including an edition in Nepali. Many of the photos in the exhibition are from this book, but there are others that Katryn Hagen has selected from the family’s archive of slides and prints. 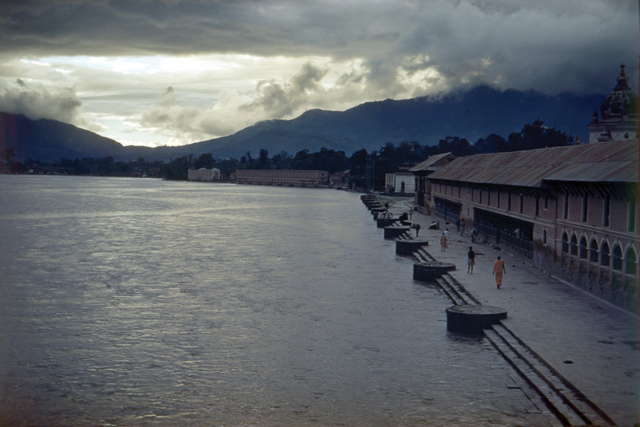 On this centrefold, we bring you some of Toni Hagen's photographs of Kathmandu Valley from the exhibition. This pictures show clearly the city's urban spread, and how elegant terrace farms have been replaced by houses. However, one also sees that due to community forestry, denuded mountains on the Valley's rim are now heavily forested.